1986 Max II by Recreative Industries. 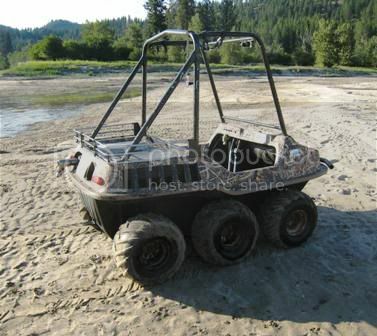 6x6 6 wheel drive amphibious ATV / UTV. These are still being made with basically no changes in design. They have been in production for 40 years. New they retail for around $10,000 with this motor set up. Easily carries two people wherever you want to go. This machine is powered by a late model Briggs and Stratton 20hp V-twin vanguard. Electric start. Nice quite exhaust. Plenty of power and speed. Custum full roll cage and rear rack. Off road lights. 2000 lb winch and heavy duty front bumper. Camo clad. New bilge pump (haven't had to use, but nice to have). Clean Washington Title, ORV tabs good through October. 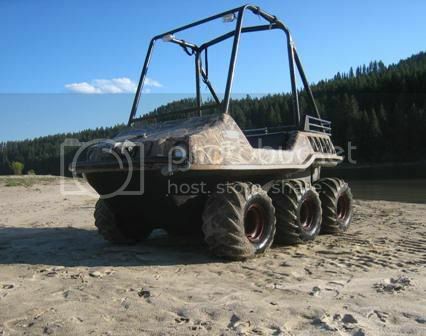 This is a blast to drive in the snow, mud, sand and through deep water. Track kits are available that make this machine unstoppable in deep snow. 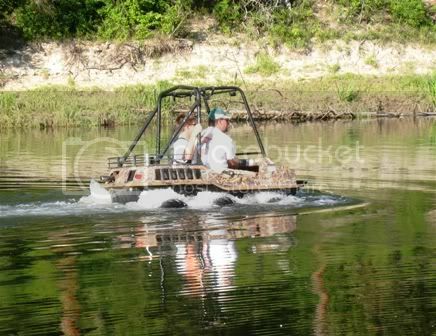 The MAX II is a highly mobile six-wheel drive amphibious vehicle that carries one or two passengers comfortably. Swim across ponds and streams that you would have to avoid in a lesser four-wheeled ATV. like tracks and a convertible top greatly increases its usefulness over other types of off-road vehicles. The MAX II is a energetic performer that is a load of fun to drive! Standard: Amphibious capability, headlights, taillights, reverse gear, electric start, trailer hitch, steel chassis and an almost unbreakable high density polyethylene body. Visit the following websites for more info. $3,950.00 Located in NE Washington. PM me if interested.